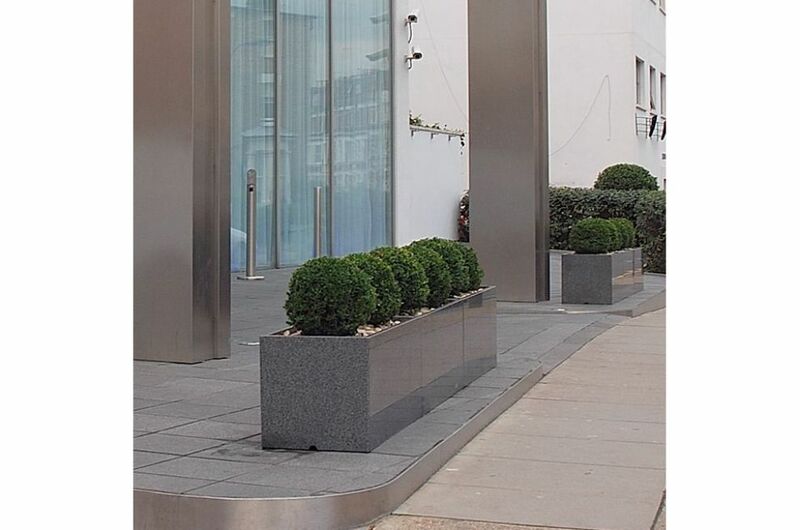 Trough 1000 planters are the largest of four trough designs within IOTA’s Granite planter range, and they are robustly constructed to commercial specification from 25mm thick stone. 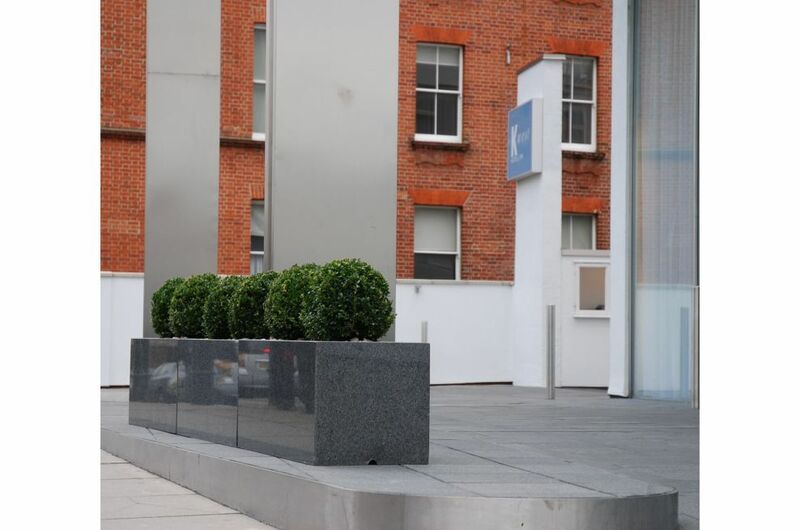 They are often used in street furniture applications as a barrier – to divide space, to guide the flow of pedestrians, or to limit vehicular access. 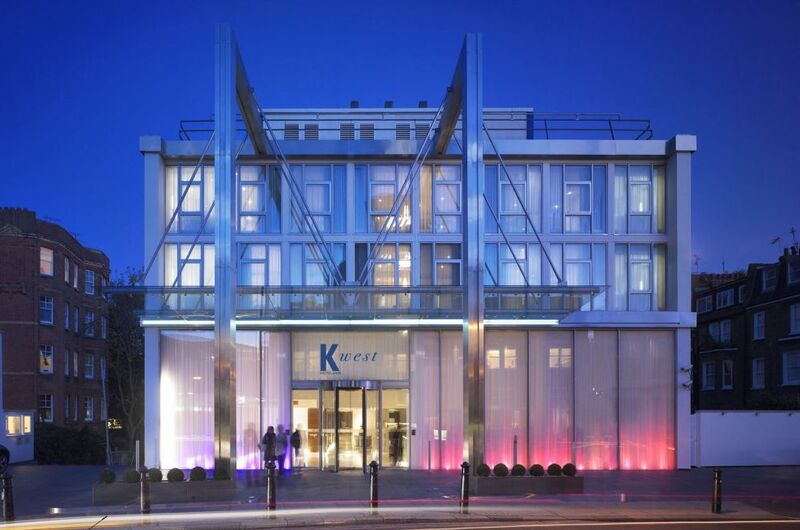 At the K West Hotel & Spa, Trough 1000 planters were selected as exterior street planters at the entrance, to serve both a decorative and practical function. 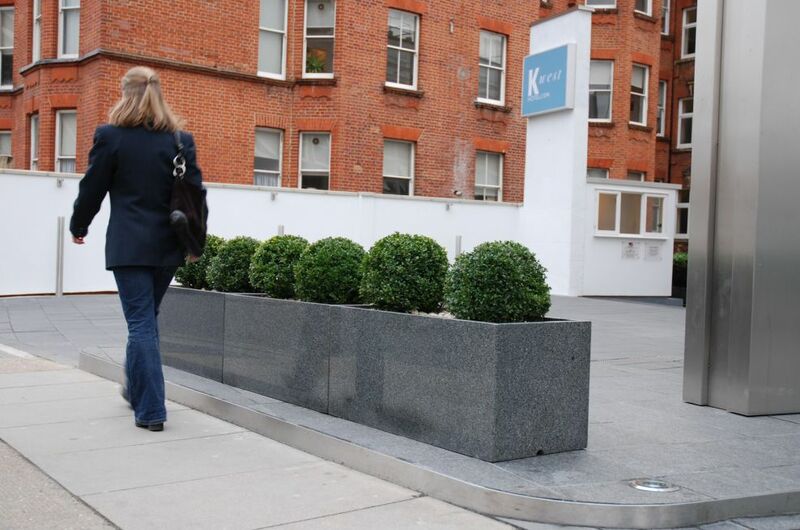 Installed in ranks, the planters are tightly abutted to create a seamless physical barrier – their essential purpose being to safeguard a pavement trip hazard, by channelling pedestrians to a ramped area. 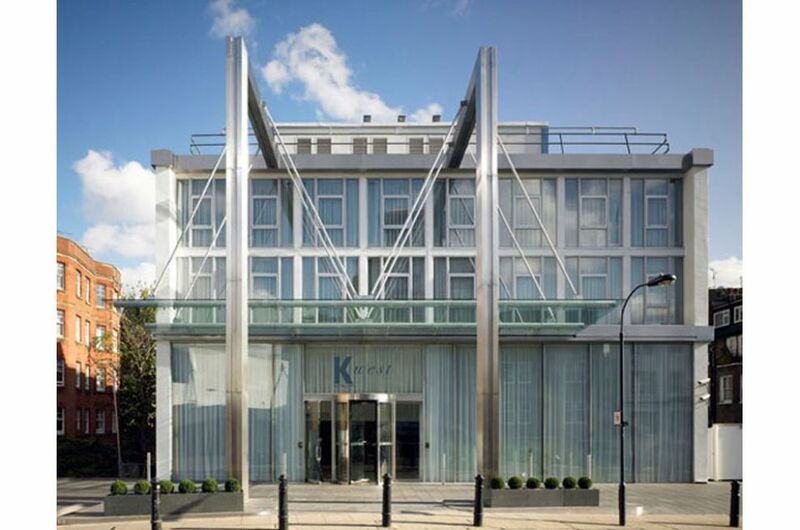 Stylistically the planters also strike the right note, for a hotel described as “London’s newest designer hotel, bringing the cool style of New York’s Soho to London’s Shepherds Bush”.